Location! Location! Location! 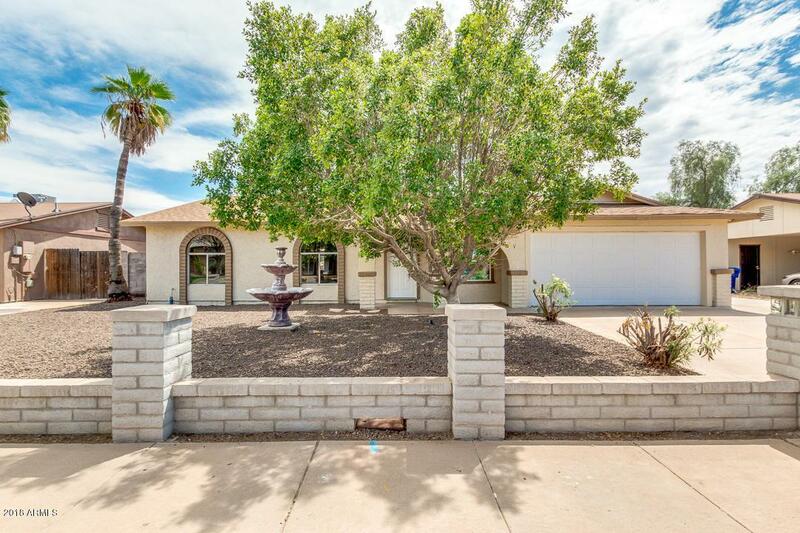 Come see this fantastic property in a great Mesa neighborhood! 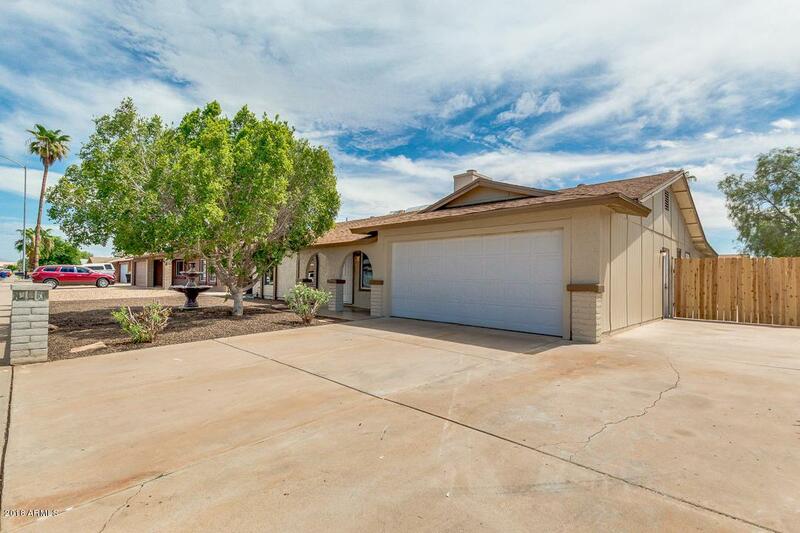 This charming 3 bed, 2 bath home features gravel landscaping, 2 car garage, and RV gate. Step inside to find a formal living room with brick fireplace, neutral colors, tile flooring throughout main areas, dining area with wet bar, family room, and big windows allowing plenty of natural light. Gorgeous upgraded kitchen showcases stainless steel appliances, white cabinets, granite countertops, and breakfast bar. Spacious master suite is a complete retreat, you will find private exit, his & hers closet, and a bath with tile shower. 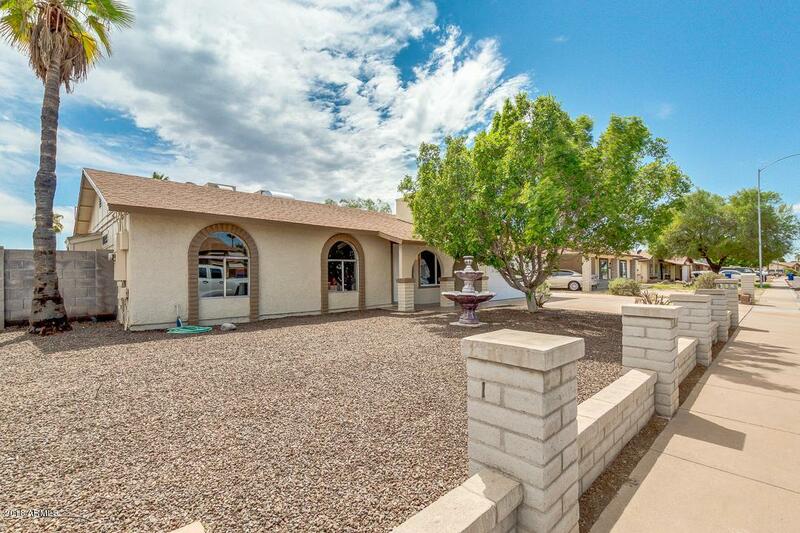 The large backyard is comprised of an extended covered patio, fenced blue pool with spa & slide, built-in BBQ, and RV parking. You don't wanna miss this awesome deal!